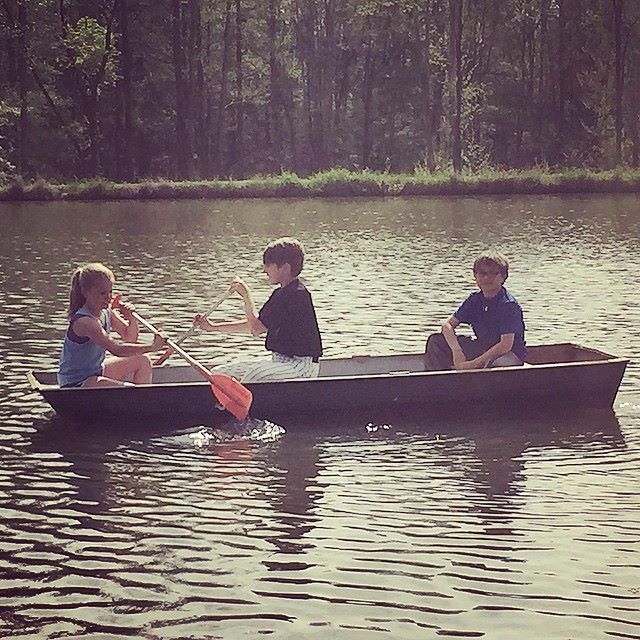 Southern Accents is seeing a huge resurgence in the popularity of clawfoot tubs. The antique, cast iron tubs are one of our most sought after items as we get numerous inquiries each week from customers looking for them. We take advantage of every opportunity to rescue these beauties! While many of the tubs that we obtain aren’t in perfect condition, our friend Stephen Bush, at Rub-a-Dub Tub, is an expert when it comes to lovingly restoring them to like new condition! These salvaged, claw foot tubs will look brand new once refinished. Most of the old cast iron tubs and sinks can be refinished and given a new life. We are all familiar with the traditional white, roll top bath tub, but what many don’t realize, is that there are numerous finish options available. Your tub can be turned into your own unique work of art! In addition to unlimited color options, the exterior of the tub can even be finished in stone, glass or tile! If you want a rustic look, a “wood” finish can be applied to the exterior giving the bath the look of real wood! Restoring a procelain finish cast iron tub is a multi step process. The outside of the tub is first sandblasted, primed and sanded to be ready to paint. The interior of the tub is cleaned and etched. It then receives a coat of primer followed by a top coat of paint. The painted tub is then wet sanded and polished to give it that smooth finish before a final coat of acrylic urethane is applied. Unlike the cheap appliance paints that you can purchase in hardware stores, this detailed method of restoration ensures that your tub or sink is brought back to like-new condition. 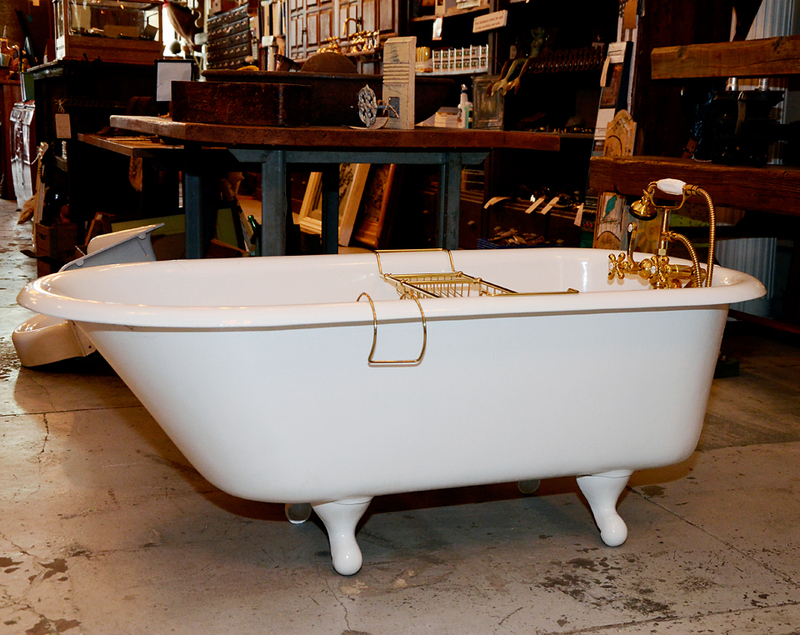 This salvaged, cast iron, claw foot tub has been totally refinished, fitted with new feet and is ready for it’s new home! Often, the tubs we rescue may be missing one or more feet. Fitting an antique tub with feet is quite a task. Tubs are custom fitted for their specific feet when cast, therefore each type of foot has a unique peg connection, peg length, and curvature of the top of the foot that must match the tub. We have a collection of tub feet that we pull from when needed. When replacing feet on a tub, we install a safety clip to the back of the leg to help secure the feet, preventing them from coming off. These safety clips are cast especially for Southern Accents to ensure the tub is stable when it is being filled with water once installed in a home. 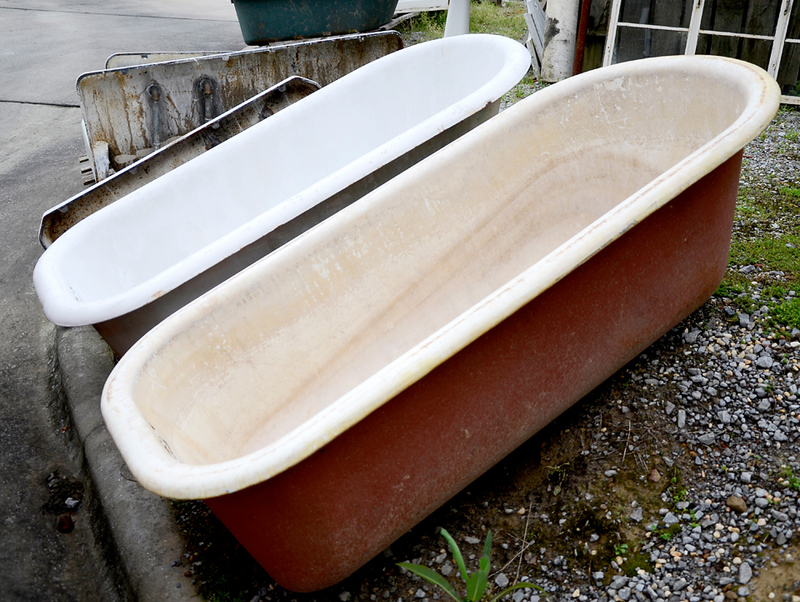 Most salvaged clawfoot tubs, before refinishing, range in price from $350 to $650. The refinishing cost ranges in price from approximately $850 to $1200. Visit Southern Accents showroom or website to view our collection of antique and vintage bath fixtures which include clawfoot tubs, pedestal and farmhouse sinks and more! We’re at three weeks and counting!!! 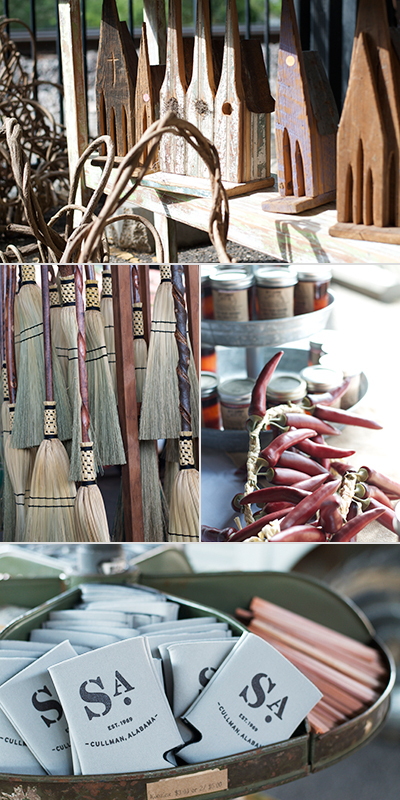 Our excitement and anticipation is growing as we are making final preparations for this years Southern Makers event! This is by far our favorite event of the year as it brings together some of the best artisans, craftsmen, chefs, brewers, musicians, farmers, and designers from across the state for one weekend. If you have not seen the lineup of Makers for this years event, check it out… 2015 Makers. There will be so much to see and do at this year’s festival. Don’t have your tickets yet… what are you waiting for? Tickets are limited… get yours today! A limited number of tickets for Southern Makers 2015are still available. Pre purchasing your ticket will ensure entrance into this highly anticipated yearly event. The event will take place May 2nd and 3rd in downtown Montgomery, Alabama at the Union Station Train Shed. Available tickets include single day, all weekend pass, or VIP all access ticket which includes an invite to the VIP kick off party on Friday night, May 1st. Children 10 and under are admitted free. Don’t delay… you do NOT want to miss this event! Follow Southern Accents and Southern Makers on Facebook so that you don’t miss out on any of the upcoming announcements, giveaways and exciting news! The Southern Makers App is NOW available! Download it from the iPhone App Store. The app features event schedules, social media, photos, and makers info.